Located in the SE Aerospace Corridor with technical and university programs to support the aerospace and defense related industries, this region offers companies the potential to succeed in filling their workforce needs. The region is perfectly located in the Southeast U.S. to put you in the middle of the aviation sector. 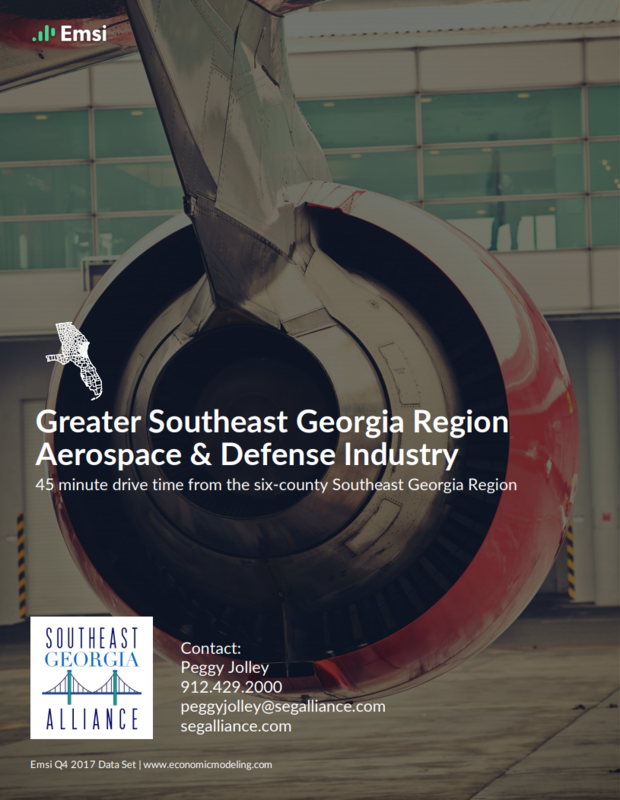 Sitting between major assembly plants like Gulfstream in Savannah and Brunswick and Boeing in Jacksonville, suppliers and vendors serving the aerospace industry will find a welcome location in SE Georgia. Coastal Pines Technical College recently made aerospace training a top priority by introducing a new aviation certification program to augment the growing needs of our aerospace industries. Regional job concentration is 3.34 the national job average of this sector. Jobs, an increase of 354 over the last 5 years and projected to grow almost 1,000 more in the next 5 years. Pay rolled business locations which is 12 more than we had 5 years ago.